to discuss recent advances and innovative technologies in the above mentioned area. They will discuss the future trends towards 2030. The abstracts (within 500 words) should be submitted on time. Abstract selected for presentation in the conference will be expected to give oral presentation or poster presentation during the conference. All accepted abstracts will be published in proceedings. Accommodation will be arranged on request in Hotels/Guest Houses. Charges will be paid by the participants. The conference will be held in the Indian Institute of Technology, Kharagpur during September 24-27, 2019. Rubber Technology Centre (RTC) is a unique Centre, the first of its kind in our country. The first Rubber Technology Laboratory in our country for the purpose of teaching and research was established in 1955 in the Department of Applied Chemistry in IIT, Kharagpur under the collaborative program with the British Government (the Colombo Plan), the USA Government (Technical Collaboration Mission) and Ministry of Education, Government of India. The independent Rubber Technology Centre was established in 1981. The Centre acquired advanced processing testing and characterization equipment from Indo-British, IndoFrench Collaborative Programs and also a large number of research projects from government organization and industries. During last three decades since its inception this Centre has done pioneering work in research and education in rubber and polymer science and technology. In 2014 it was awarded as the best Institute for education and research in Rubber Science and Technology by the 'Rubber Asia' magazine. IIT Kharagpur is a place with historical importance which was earlier known as Hijli detention camp. Nehru Museum and Hijli Prison Cell are the sightseeing places in the Campus. Nearby places like Golebazar, Gatebazar and Jagannath Temple may also be visited. 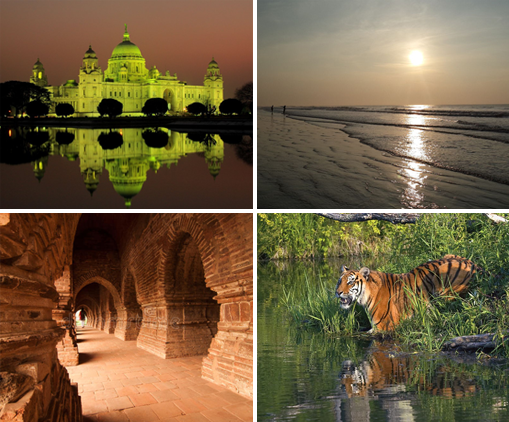 In addition, there are many places of tourist’s interests, like Digha (sea beach on the Bay of Bengal) is 120 km and Bishnupur (archeological monuments of Terracotta art) is 90 km from Kharagpur. Also, Kolkata, the City of Joy and City of Palaces is situated 120 km away and it is the capital of West Bengal as well as the largest metropolis in the eastern region of the country. Kharagpur is a well known land mark. Though Kharagpur has one of the longest railway platforms and is the headquarter (HQ) of South-Eastern (SE) Railway. The Kharagpur city has become more prominent after the establishment of the first Indian Institute of Technology. Kharagpur is situated on National Highway #2 about 120 km west of Kolkata city. The nearest airport to Kharagpur is the Netaji Suhas Chandra Bose International Airport, Kolkata (CCU). Being the HQ of SE Railways, Kharagpur is connected to most of the major cities of the country by direct train services. IIT Kharagpur is located 5 km away from the Kharagpur Railway Station (KGP),1 km from the Hijli Railway station and 11 km from the National Highway #2.